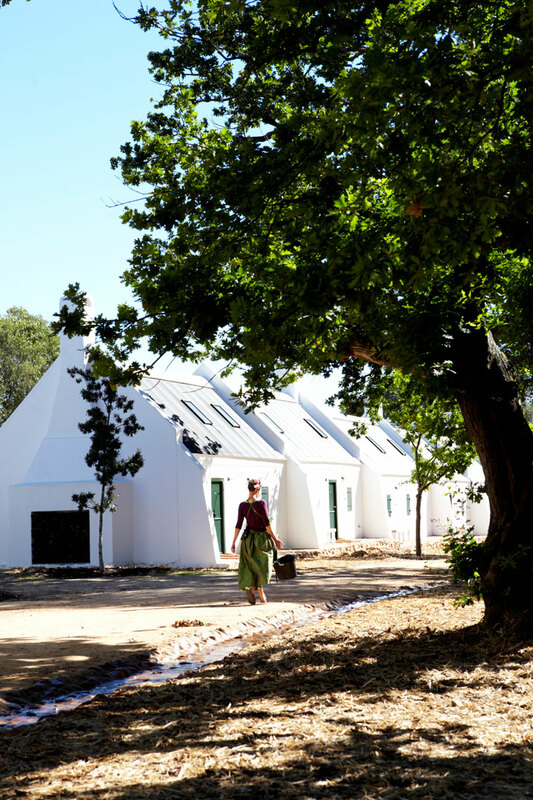 Even if you’re convinced that you don’t need another holiday break because your summer vacations were so great, once you set your eyes upon Babylonstoren, you’ll feel like you need to pack your traveler’s bag filled with designers overalls, All-Stars and some t-shirts and head off to South Africa’s Cape Winelands to play it ‘chic’ McDonald! 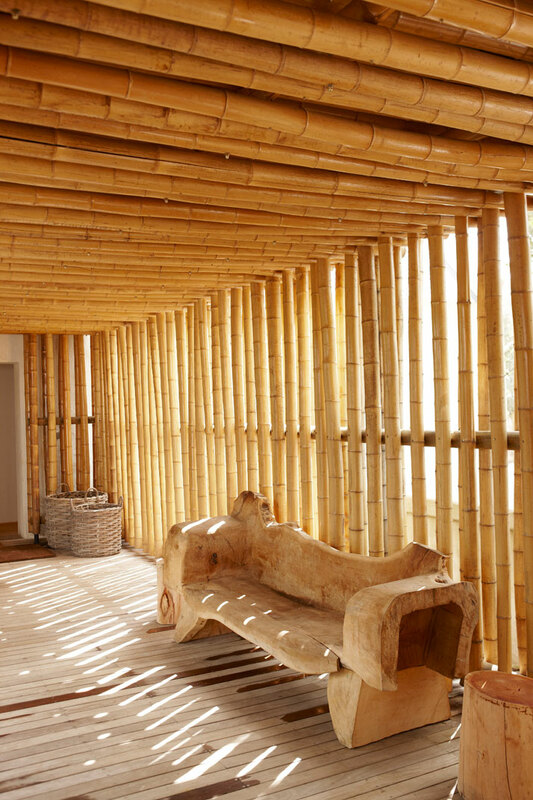 Although the flight is long, you will definitely feel rewarded once you check into this luxurious herbaceous rustic charm hotel. 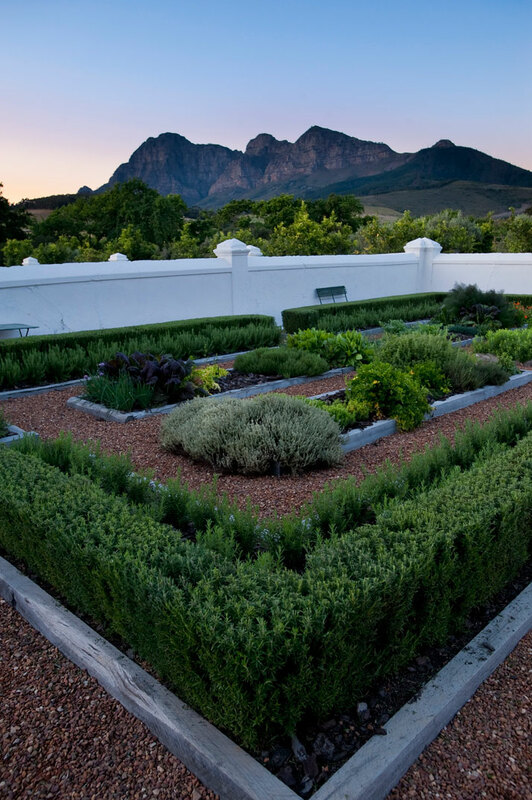 Babylonstoren is one of the best preserved farm yards in the Cape Dutch dating back to 1690, while the manor house dates back to 1777. 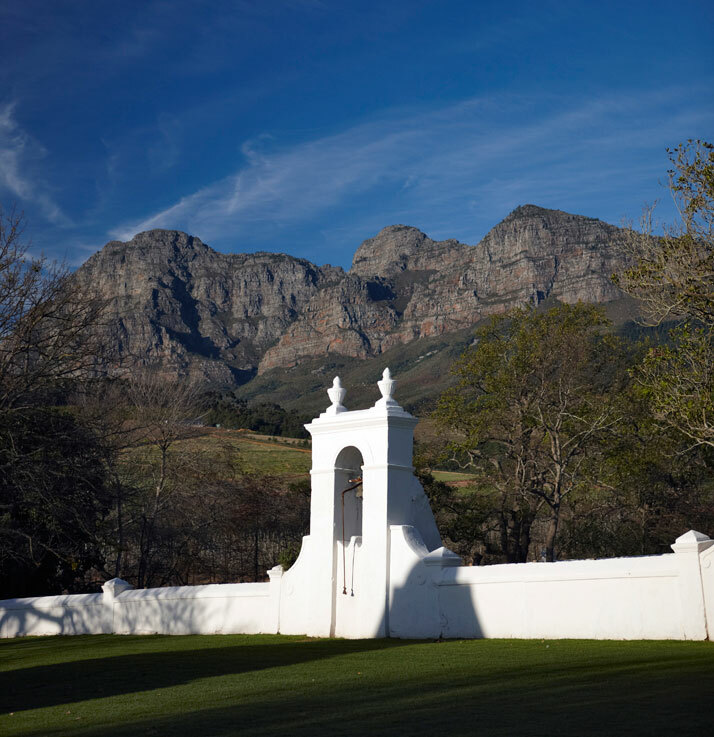 Something we really like is that the owners of Babylonstoren have recorded its history which dates back to 1652 and is readily available on their website. Furthermore, the ''Koornhuis (a ‘house’ for storing wheat and hay), and the old cellar are also exceptionally fine. 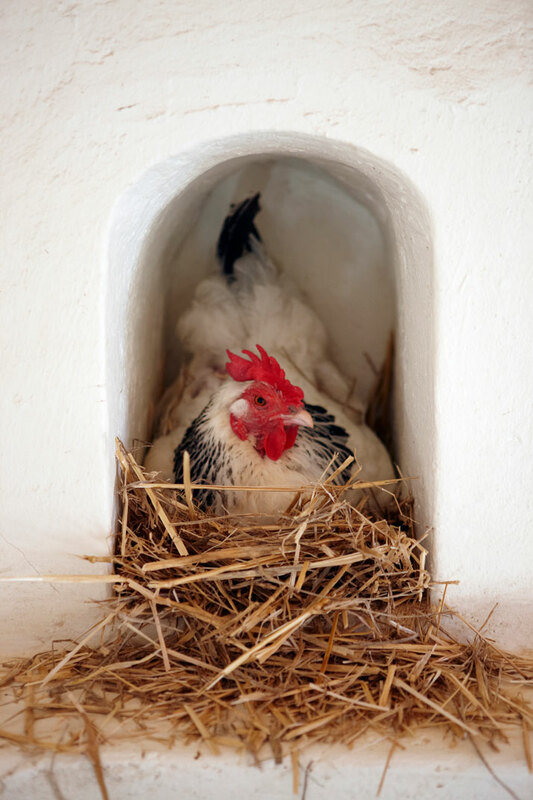 An ornate fowl house, pigeon loft, leaning bell tower and historic gates embellish a traditional courtyard surrounded by a low, whitewashed wall.'' 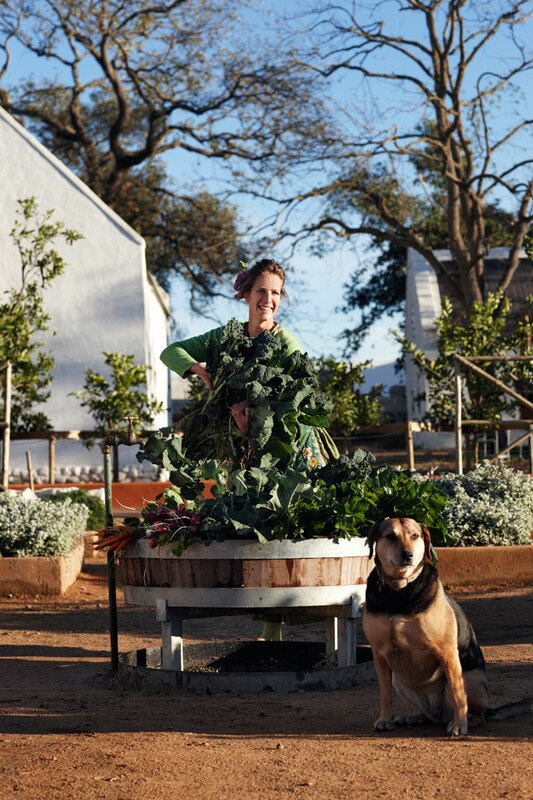 Karen Roos and her team envisioned the restoration of the deluxe preserved werfs (farm yards) to create Babylonstoren – an exceptional country getaway, a working farm that is also a luxury hotel, where guests can enjoy the ultimate pleasure of hand-picking their own crops and experience how it feels to play it on the safe side and be a ‘chic’ farmer. 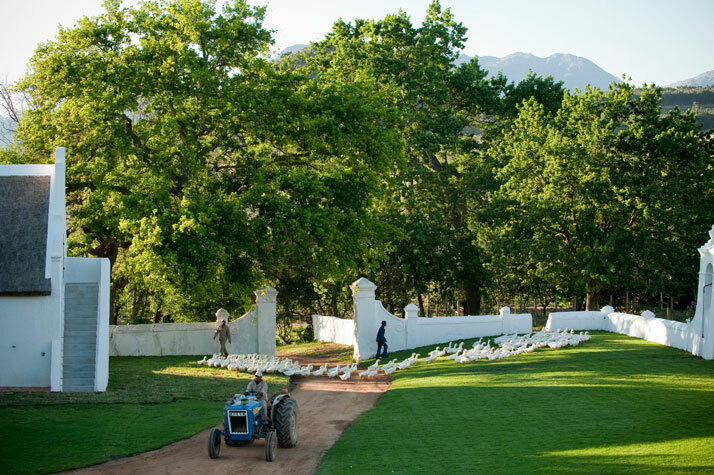 The charming old estate with more than 320 years of history remains a ‘working farm’ while it also provides the luxury and the comforts of a unique country getaway. 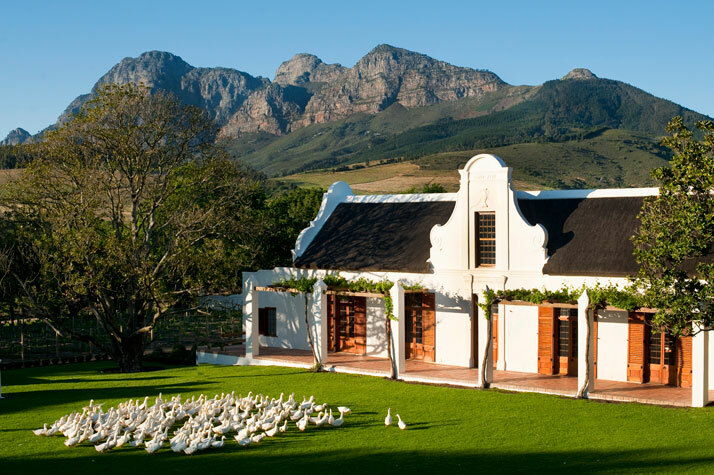 The Cape Dutch farm buildings with their 17th and 18th century atmosphere provide for five star guest accommodation. There are fourteen suites, seven of which have their own kitchens. In these cottages we see 18th century-style exteriors boldly yet seamlessly married to the 21st century. 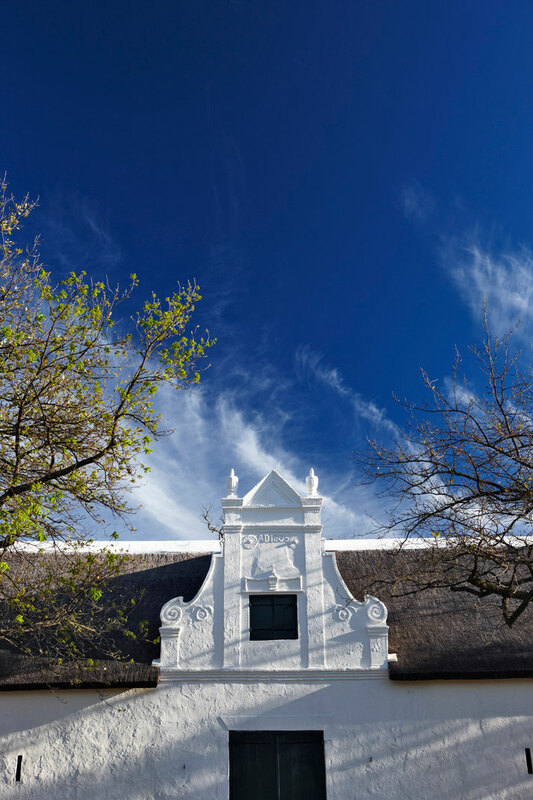 The Cape Dutch farm buildings have thick whitewashed exterior walls and are adorned with ornate gables and thatched roofs. 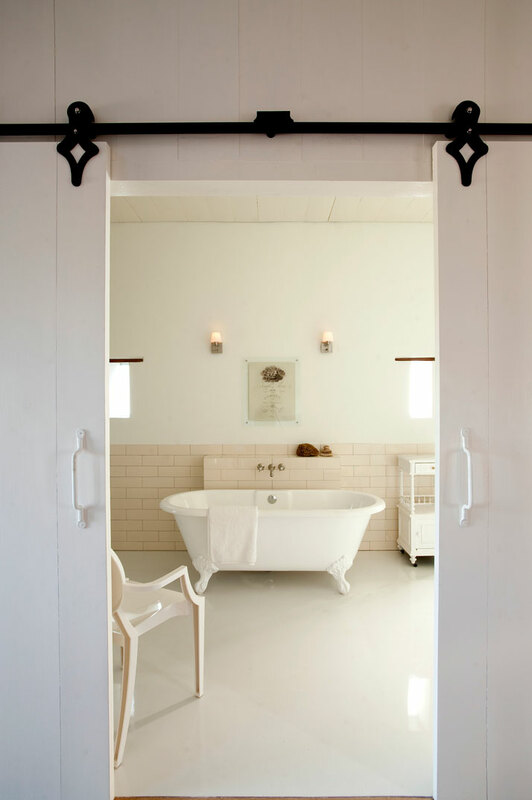 The thick whitewashed walls provide for a satisfyingly cool summer, while during the winter months, they are heated by open hearths. Additionally, guests can be accommodated in private suites with glass-fronted kitchens and exquisitely furnished interiors and have exclusive use of the renovated and historic Manor House. 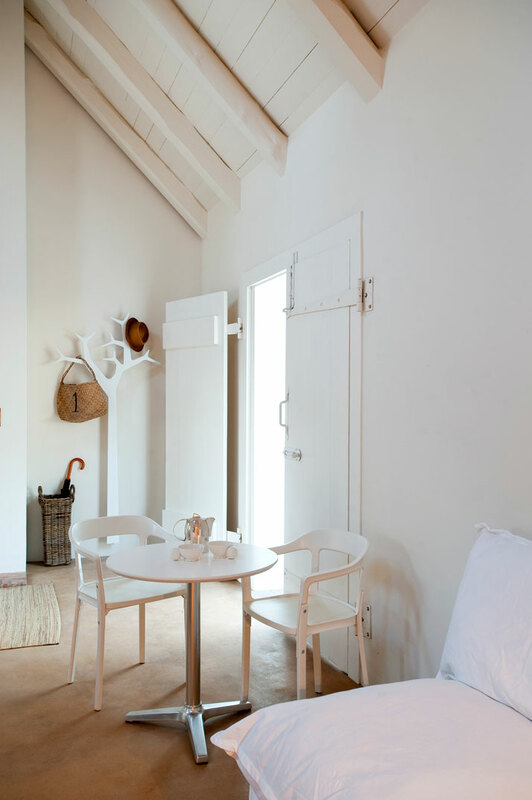 The interior design of the accommodation preserves elements of the past while relaxing yet contemporary; neutral tones of beige, white, and cream set the tone for a subtle and relaxed atmosphere. 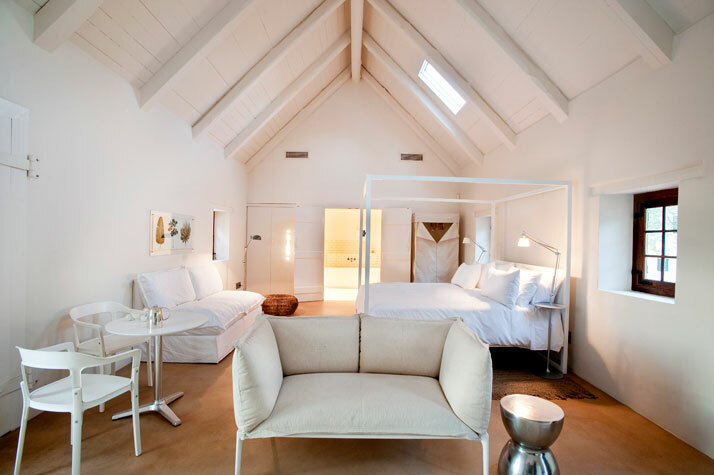 The interiors are appropriately plain, yet utterly luxurious, a mix of modern basics with antique pieces and stylish touches such as a Magis Puppy Dog, a canvas wardrobe and a Xavier Lust coat rack. Large planks of oak wood flooring give a rustic feel to the calming and serene interiors, while accent pieces of antique furniture provide for an old-fashioned and traditional feel. Slotted into one wall of each suite, a spacious glass box contains a dining and cooking area, with extraordinary views are offered over the garden or into the trees. 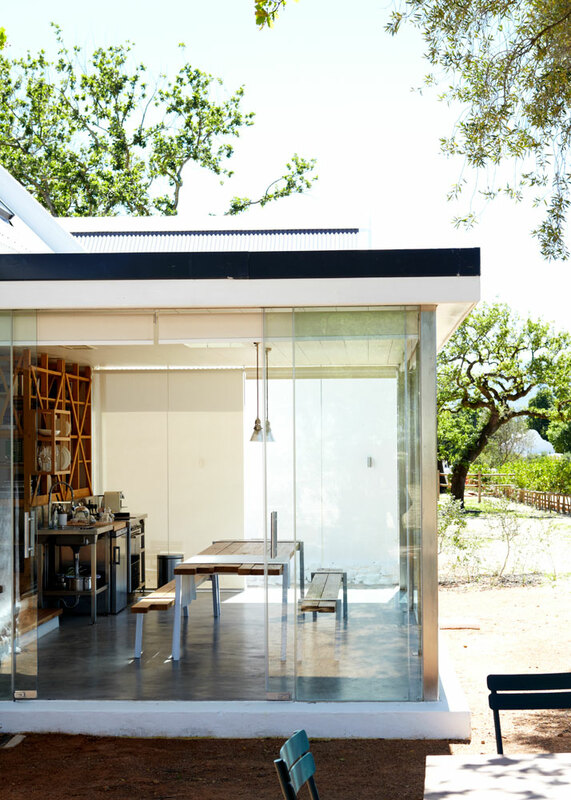 Despite the exquisite interiors, the best part of being at Babylonstoren is that there are a range of activities offered; activities for the lazy and tired who wish to pamper themselves or for those who want to go to the gym or jog or swim or hike or merely stroll. 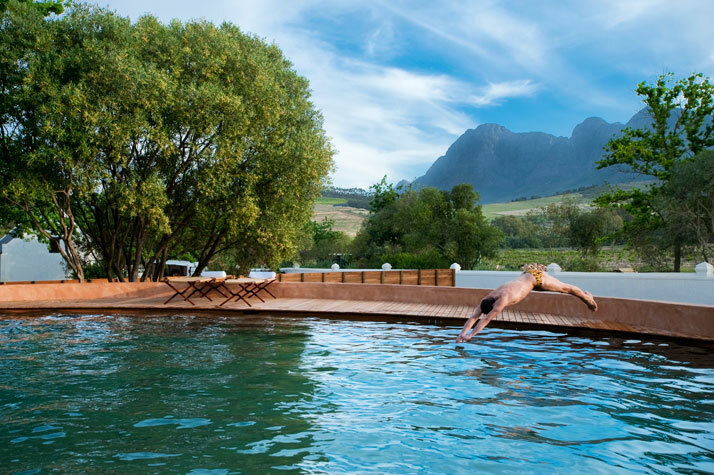 There are activities for those who want to relax while sipping a glass of fine wine as well as activities for adrenaline junkies who could go for whale watching and shark diving as these too are close enough for a day’s adventure. 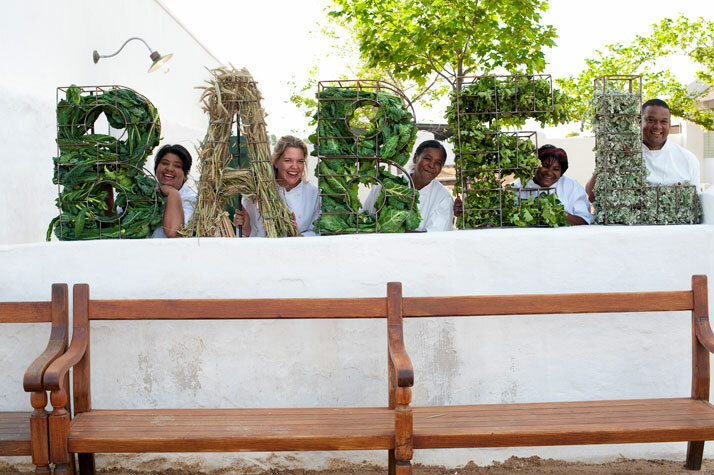 Other activities offered at Babylonstoren are gardening based as there is always something going on there – guests are invited to join in the harvesting, pruning, planting or picking of the many fruits, herbs, nuts, spices and vegetables as they explore the garden’s riches, but also in picking whatever they like for preparation in their suites’ excellently equipped kitchens. Walks span over three kilometers in the garden and the gardeners love to give guided tours. 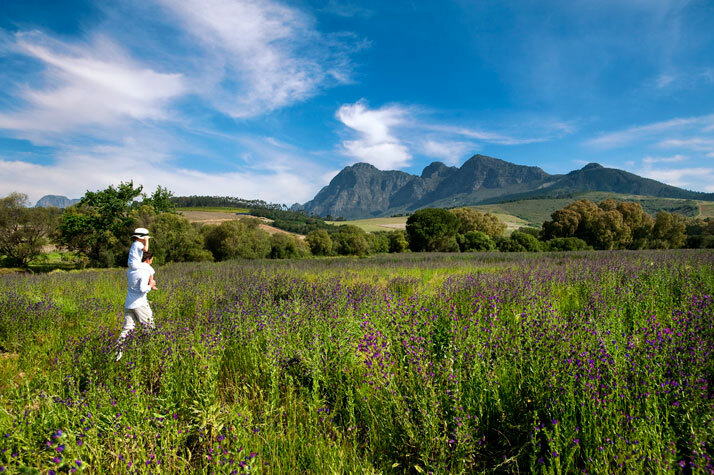 One can also go for a run or stroll up the the Babylonstoren koppie - the views and fynbos vegetation are worth the effort. 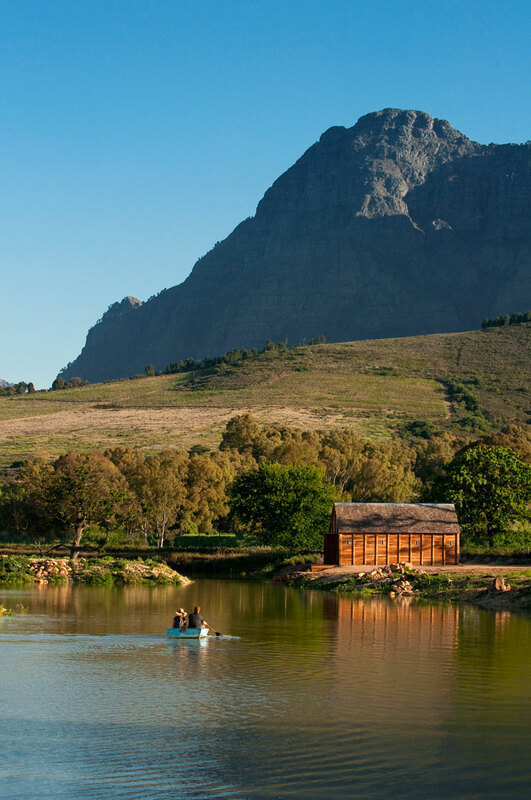 Guests may also choose to canoe on the farm dam, cycle through the vineyards and orchards or amble down the spruit which is lined with 7000 clivias. There are 200 hectares of this working farm to explore. 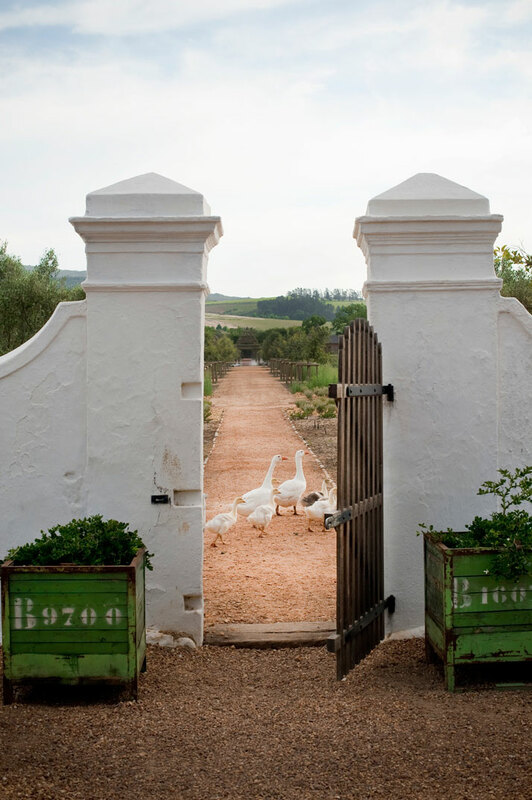 As a working farm, Babylonstoren’s acreage is divided between fruit orchards and vineyards. 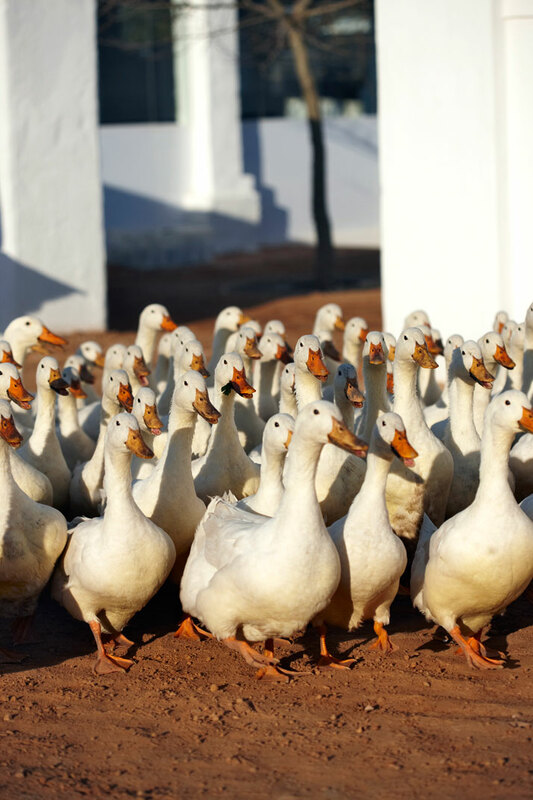 You can also go for bird watching as Babylonstoren is the home to a variety of domestic farm fowls and pigeons in the historic Fowl House and the 100 snail-harvesting ducks and a myriad of bird species. Just arm yourself with a pair of binoculars, and spend gentle hours ticking off birds from the farm’s list. 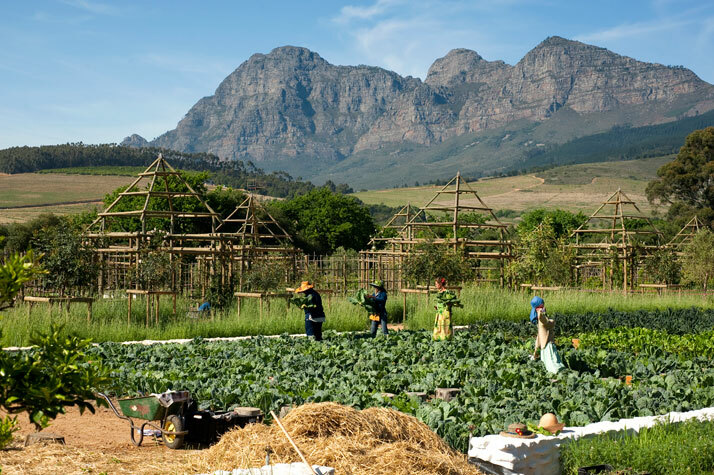 For photography lovers, Babylonstoren is just the right place to get your camera out and start shooting as there is an array of historical buildings and natural landscapes to capture. 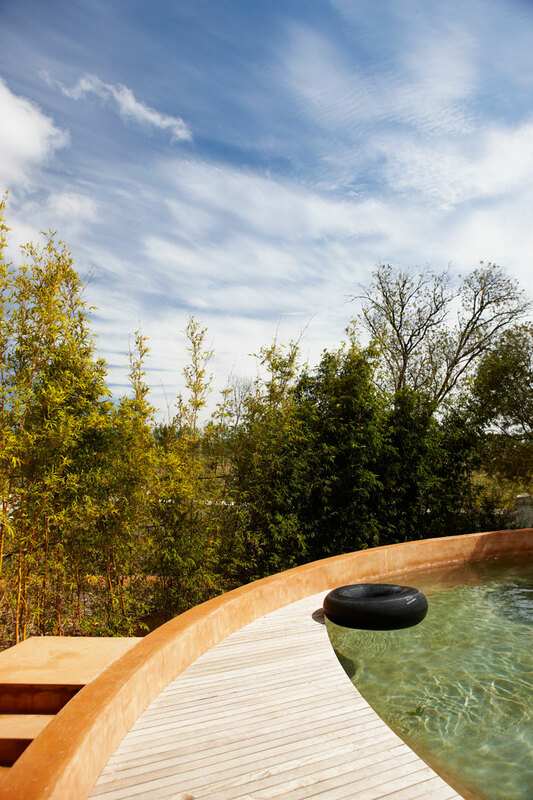 Now, if you want to pamper yourself you’ve already done half the work by merely arriving there; and let Babylonstoren do the other half with their spa which offers massages, or swim in the restored farm reservoir swimming pool. 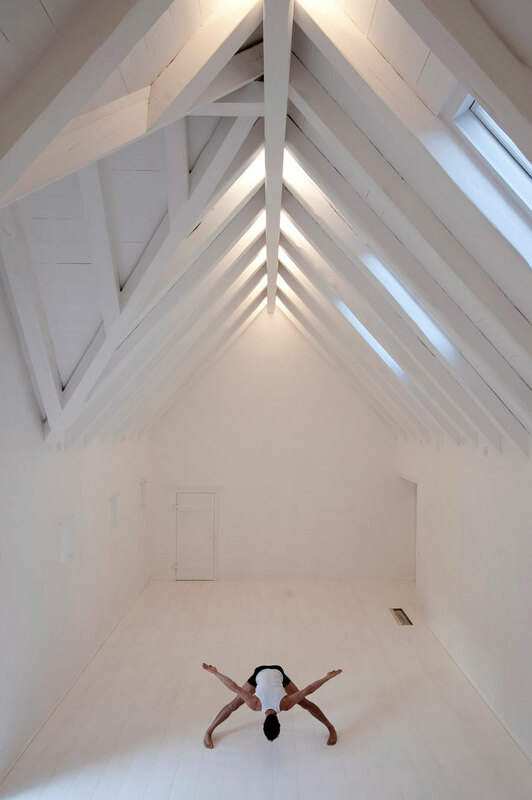 Or relax in the interior of a gabled barn in the forecourt which has been transformed into an all-white multipurpose studio with a sprung floor - for dancing or yoga. 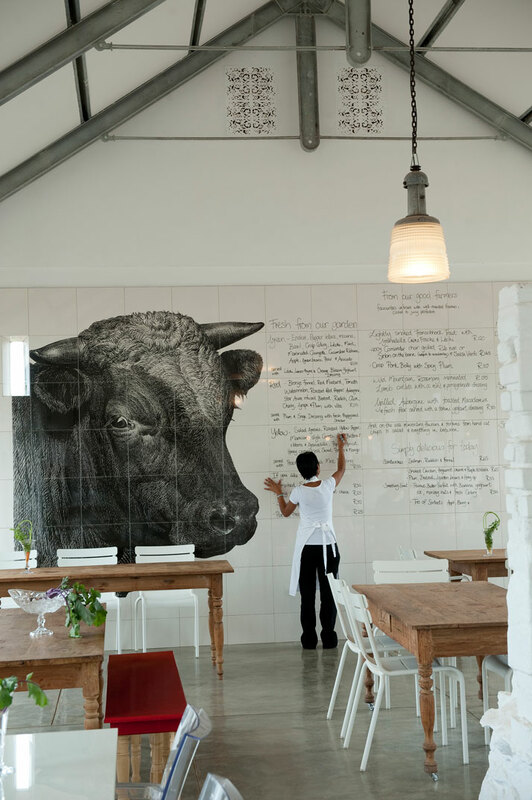 At Babylonstoren the tempting options never stop! You can indulge yourself in simple cutting-edge fresh food straight from nature, as their food reflects the colors of the season! 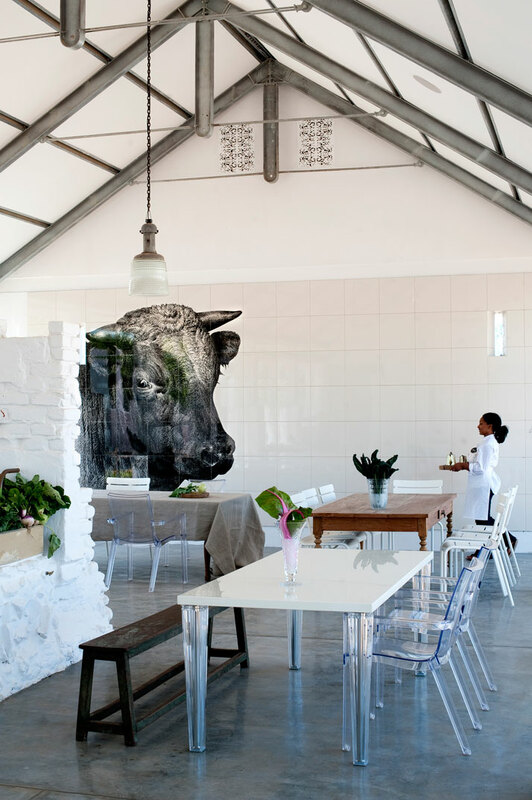 Babel – their farm restaurant, a former old cowshed has been converted into a cool milk-white restaurant. 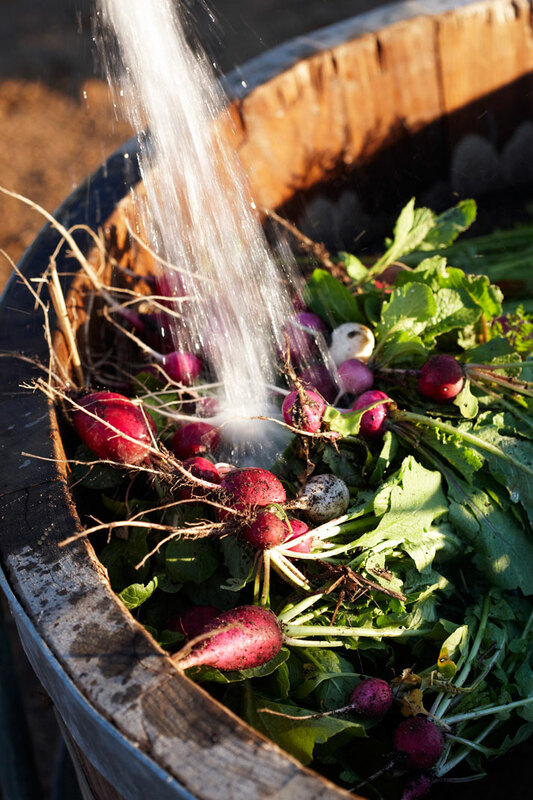 All the food there is fresh and comes either from their garden or from neighboring farms. 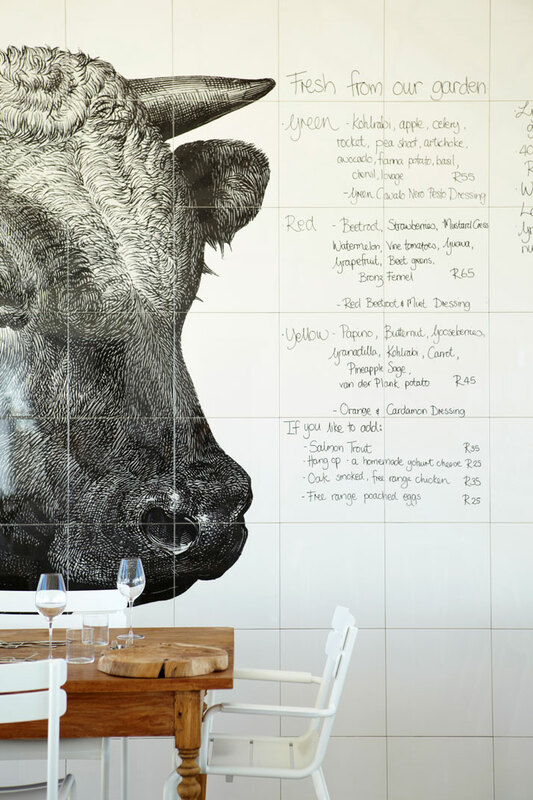 ''The food we serve is unpretentious – clean and provides for visual dining experiences. Meals are served anywhere on the farm, depending on the season and the weather.'' 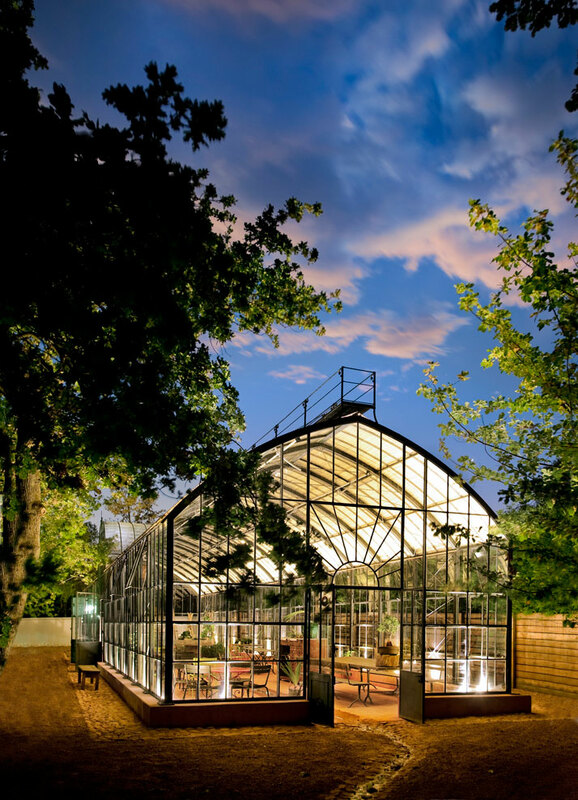 Like so much else at Babylonstoren, a meal at Babel promises to be both an adventure and a rediscovery of “the honest essence of things”. 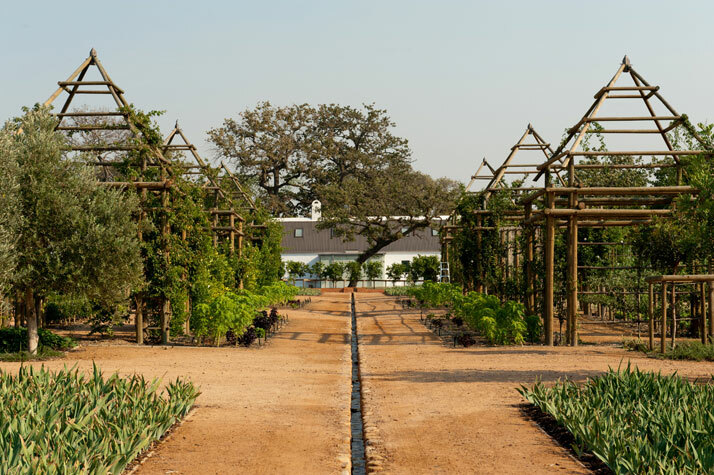 Everything at Babylonstoren has been carefully and meticulously designed and restored so as to be evocative of the past where skilful preservation and restoration of the original fabric and feel is combined with an infusion of 21st century life. Simple, modern furnishings and a definite choice of detail in antique, modern and whimsical touches make each space a timeless world, but one to be used and enjoyed - and shared. 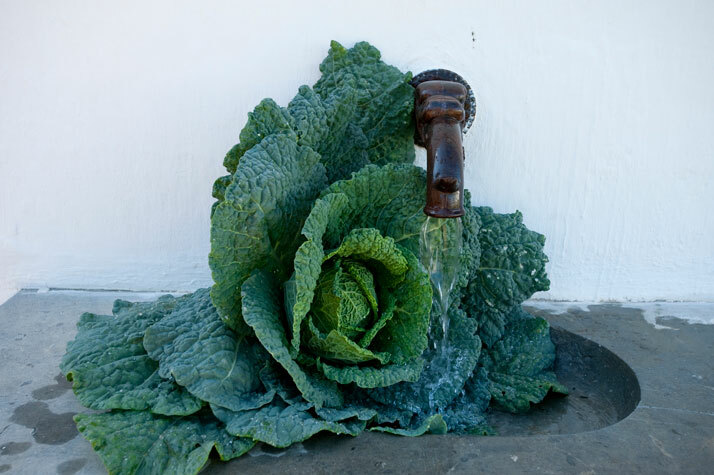 The farm has a rare history, integrity, and honesty to what it offers. 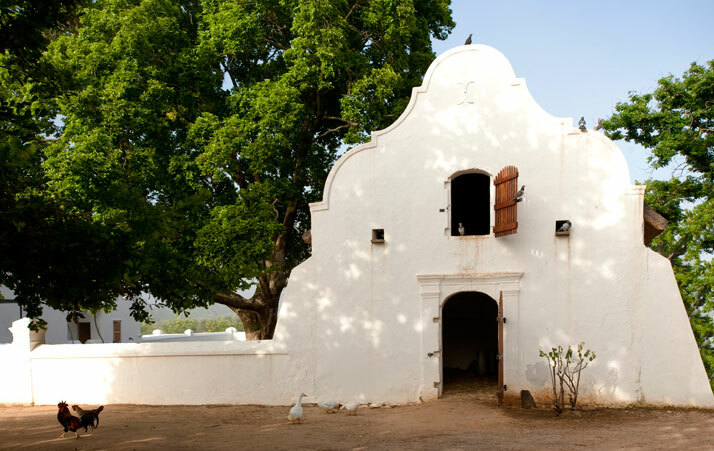 The historic ‘werf,’ with its gorgeous buildings and pleasant spatial geometry, is among the best preserved in the Cape providing a stirring insight into a self-sufficient rural past.